To report a Class A Infectious Disease to the Ashtabula County Health Department, please call immediately 440-576-3023. If you are calling during off hours you are instructed to contact the Ashtabula County Dispatch at 440-576-0055 and ask for a health official to contact you. A report must be made to the Ashtabula County Health Department unless the patient resides in the city of Ashtabula or the city of Conneaut. 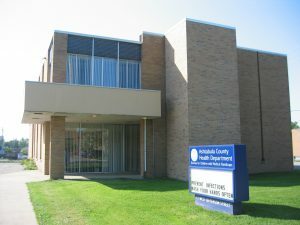 In that case, the report should be made to either the Ashtabula City Health Department or the Conneaut City Health Department. Class A Diseases must be reported to the local Public Health jurisdiction of residence of the patient. Any unexpected pattern of cases, deaths or increased incidence of any other disease of major public health concern, because of the severity of disease or potential for epidemic spread, which may indicate a newly recognized infectious agent, outbreak, epidemic, related public health hazard or act of bioterrorism. Cases of AIDS (acquired immune deficiency syndrome), AIDS-related conditions, HIV (human immunodeficiency virus) infection, perinatal exposure to HIV, all CD4 T-lymphocyte counts and all tests used to diagnose HIV must be reported on forms and in a manner prescribed by the Director, Ohio Department of Health.